The festive season is upon us. With all the fun, social engagements and last minute shopping it can be hard to remember the extra risks to our pets that come with this time of year. Hopefully this can be a brief reminder of who to make this time of year festive fun for the fur family. - You have an adequate supply of any medications or prescription food. - You are prepared for disease risks particular to the area or travel (for example heartworm or ticks). With the warm weather it is important to be mindful of those pets that need special care. Older pets, overweight pets and those with heart disease will suffer in, or even succumb to hot weather. It is a good idea to avoid exercise in the heat of the day, provide ample shade and multiple, plentiful water sources. This time of year also results in more lost pets. With holidays and fireworks many of our furred family can become frightened and escape. We can minimise the risk by ensuring your pet's microchip details are up to date, ensuring fencing is secure and monitoring local papers for announcements of any fireworks. Don't forget a special present for your pet on Christmas Day. Perhaps a new collar, lead or a special healthy treat from our Christmas tree. Avoid a common Christmas emergency trip to the vet by ensuring that your pet doesn't help themselves to any Christmas or BBQ food. Unfortunately we often see a few very sick animals after getting into rich food, the rubbish bin or even a full kebab stick. As much as we love seeing you we would rather keep your pets safe and happy. 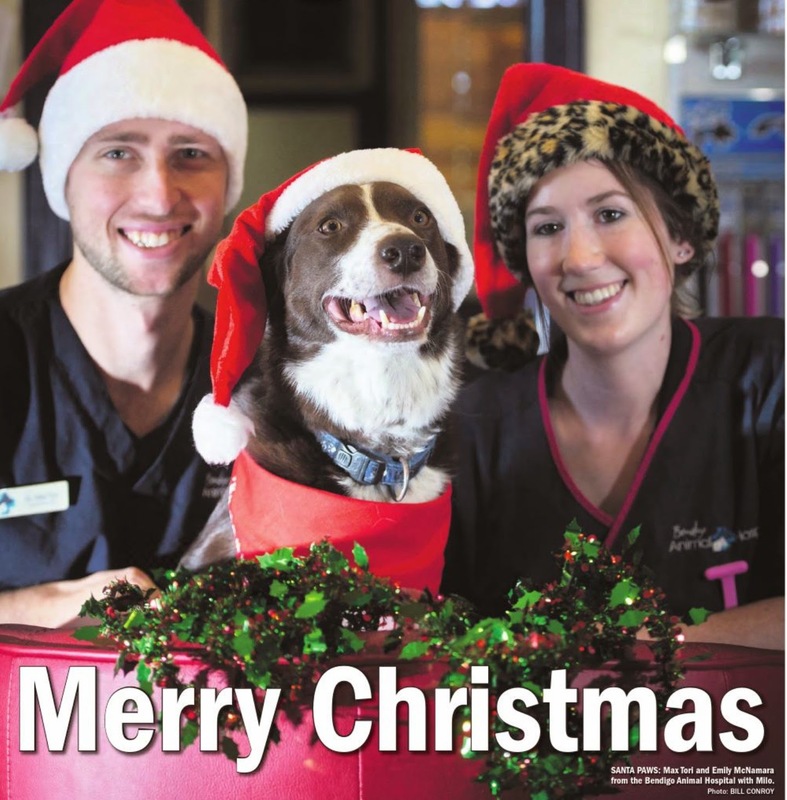 The team at Bendigo Animal Hospital wish you and all your family (furred or otherwise) a very happy, healthy and safe festive season.